The first impression that clients engender can make or break a business. 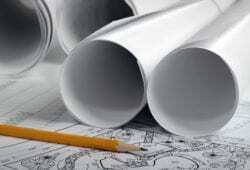 It is not just the interior and exterior appearance of a business that matter. To the contrary, most customers develop a perception of a business based on how well the lawn appears. Hiring the best commercial lawn care service in Chesapeake VA is profoundly important to any business. Our main aspiration at Good N’ Green is to provide our customers with excellent grounds care services around the year. Our company is committed to providing quality and comprehensive services across the Chesapeake VA region. Over the years, we have established a customer base that has tasked us with all their grounds maintenance services. 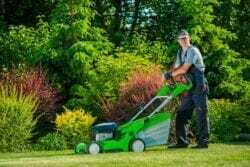 The main reason for this trust lies in our capacity and constant investment in expert work crews that are adequately trained to offer customized lawn maintenance services to the satisfaction of our individual clients. Some of the services our work crews provide include professional mowing, shrub, and small tree pruning, and mulching. We understand that to maintain an appealing landscape, our services should exceed more than just well-kept and trimmed lawns. Creating and maintaining a healthy landscape is our key objective. 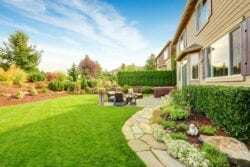 Subsequently, our commercial grounds care services include aeration and fertilization at a different time of the year to ensure that the lawn is always healthy. Additionally, we provide regular pest control and weed control services, thus protecting the lawn from common threats. Apart from the year-round grounds care services at Good N’ Green, we also provide seasonal services. Our services are available every month of the year to facilitate all landscaping needs for every season. Our services are tailored to enhance the natural beauty and appeal of commercial lawns at all times during the year. Whatever offerings of services a business handles, we can be reached at Green N’ Good for affordable and quality services in the Chesapeake VA region. Give your customers that great first impression and open the gateway for success.